What would summer be without a Dole Whip! Your pictures are wonderful! Thanks so much for allowing us to be a part of your Disney summer! What great pictures! Loving the skipper outfit (one of the better ones you could have gotten I think) and your parents being gangster....awesome! Thanks for sharing! Um Jungle cruise is one of our favorite rides.... Cute! and sure could use a dole whip! Love it! You are so cute in your Jungle Cruise outfit! Summers sure can be hot! That must have been difficult for you to work there. Thanks so much for sharing and for joining in the Disney Wordless Wednesday Blog Hop fun! Love your parents being "Gangsta"!! LMAO!!! That's great!! I would have traded my MK Custodial costume for a Jungle Skipper costume any day! LOL! I can never get enough Disney College Program pix- I find them so interesting, and a window into that amazing experience! 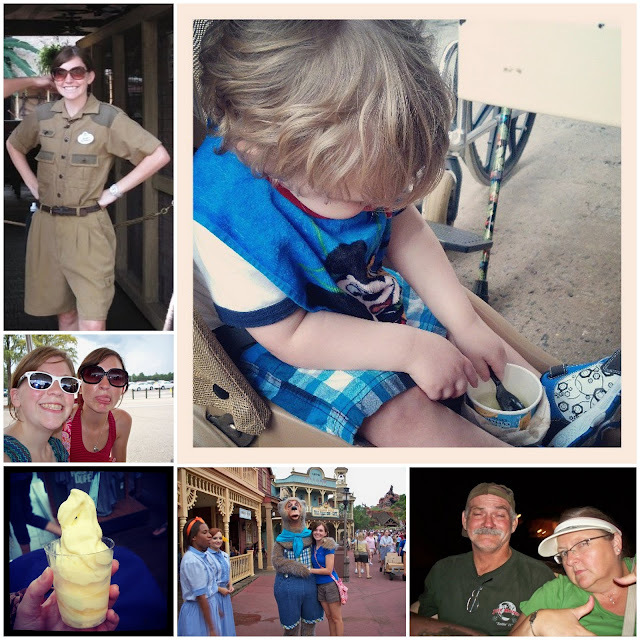 Great pics and yum on the Dole Whip! It's always awesome to get silly parent pictures!